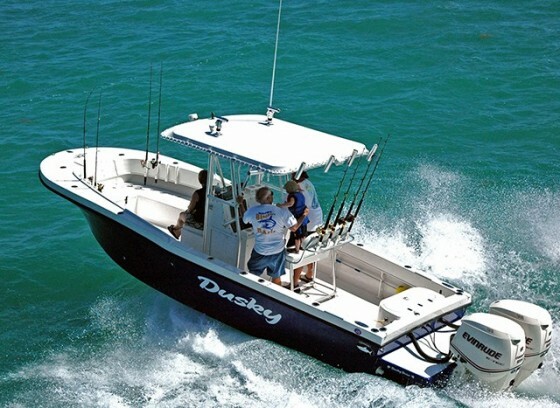 The Dusky 278 is not the fanciest center console around, but it gets you a major-league bang for your boat-buying buck and proves that there are some inexpensive boats which are still desirable. 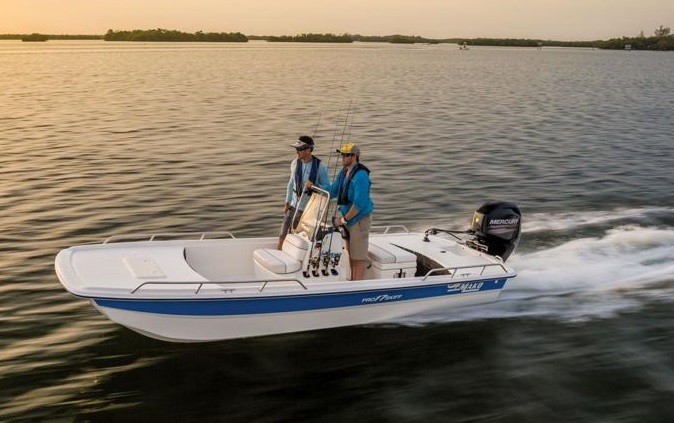 The prices of new center console fishing boats have grown by leaps and bounds the past few years, but one boat that bucks this trend is the Dusky 278. 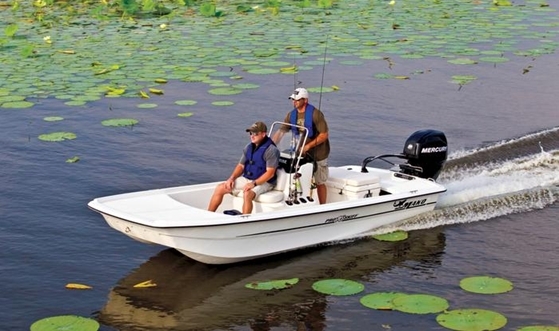 With a pair of twin 135 hp Evinrude ETEC HO outboards on the transom, it carries an MSRP of about $57,000. That means it runs around two grand per foot of LOA—while many other modern center consoles exceed to three thousand per foot, and high-end models break four. 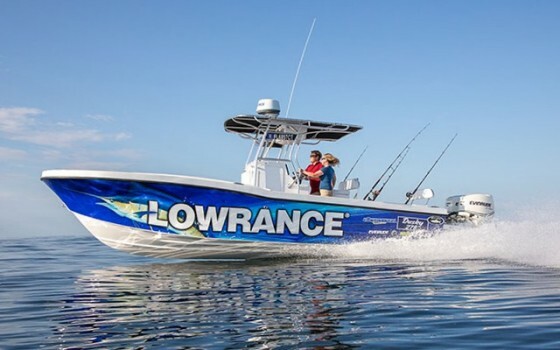 If prices like this won’t leave you with enough spare cash to pay for air to breathe, much less food and fuel, this is a boat you've got to check out. 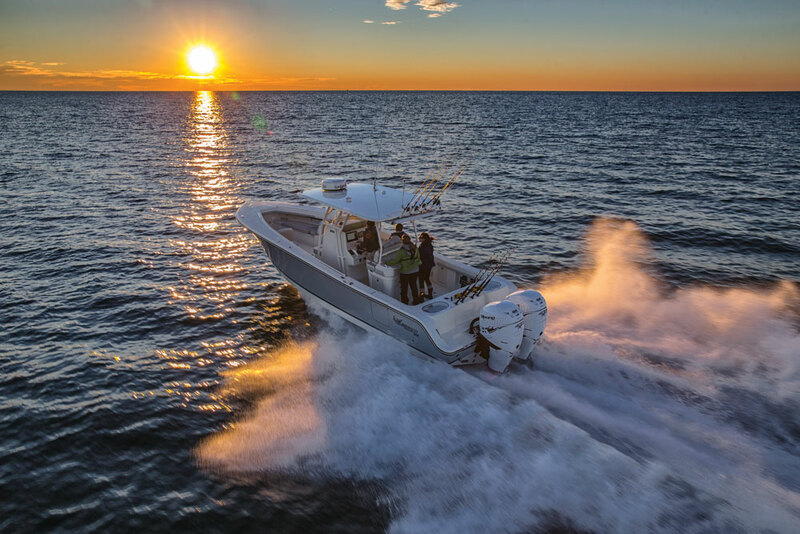 Although it's well over 27 feet long, the Dusky 278 enjoys exciting performance with a pair of 135-hp Evinrude ETEC DFI two-stroke outboards. 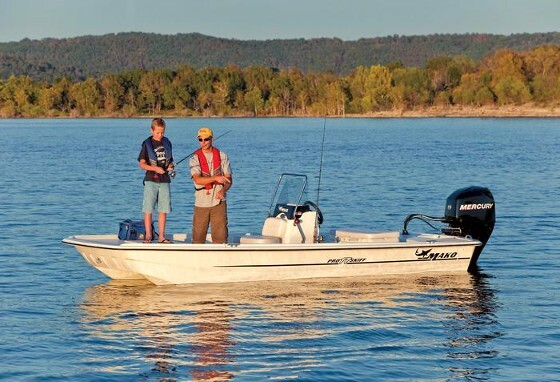 Part of the big savings comes from the fact that the boat runs with relatively small powerplants. Are twin 135 hp outboard DFI two-strokes really enough juice for a boat of this size? Yes. Check out the Dusky 278 video we shot during my sea trial, if you don’t believe it. You’ll notice that the boat jumps right up onto plane in about 3.5 seconds, cruises in the low 30's, and throttles up to speeds in the low 40’s without a problem. Up the ante to a pair of ETEC 175’s, and the 278 will cruise in the upper 30’s and hit a top-end of 49.3 mph. True, the Dusky is plain-Jane on the inside. But that means you don't have to pay for all the glitz and glam. Test conditions: 1 foot chop, boat wakes to 3 feet, 2 POBs, full fuel. But how is all this speed possible in a boat this big with engines that small? The Dusky’s weight plays a key role. 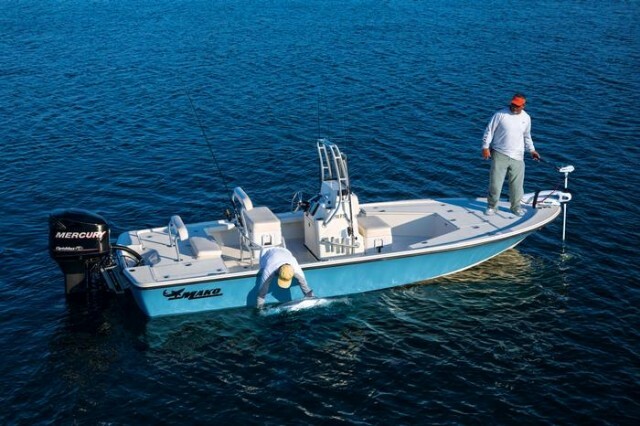 At 4,500 lbs, it’s close to 10 percent lighter than a Boston Whaler 270 Dauntless, 20 percent lighter than a Grady-White 271 Canyon, and 25 percent lighter than the Pursuit C 260. Another part of the reason can be found in the boat’s relatively narrow beam. The Dusky is 8’5” wide, while the Whaler is 9’0”, the Grady-White is 9’6”, and the Pursuit is 8’9”. Now consider outboard placement. 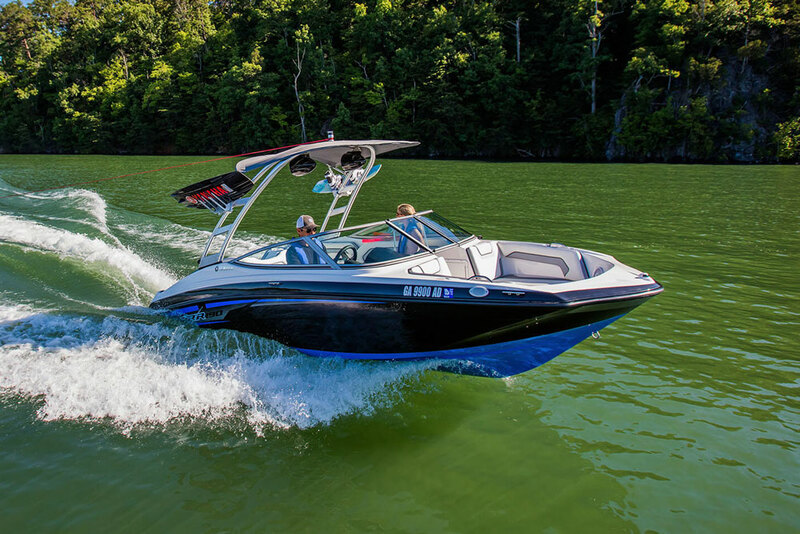 All three competitors have their powerplants mounted on the transom, while the Dusky has a built-in bracket which puts the smaller, lighter powerplants higher and farther aft. More about that bracket: having the outboards out-board also boosts cockpit space, eliminates the need for a splash-well, and makes for a huge built-in swim platform. So, why doesn’t everybody mount their outboards like this? As with anything on a boat, it creates some trade-offs. If you’re fighting a fish from the stern, you won’t be thrilled at having a pair of line-cutting props in the water, which are way too far aft to work a rod tip around. And since the platform isn't an integral part of the boat’s structure (it’s bolted and epoxied in place) there’s always a remote possibility of mechanical failure due to collision or other unforeseen stresses. The ability to run on smaller powerplants is not, of course, the only reason for the Dusky’s abnormally low price tag. Another is the fact that Dusky sells factory-direct. While eliminating the dealer certainly saves you money, the down-side is that you won’t have a local dealer to go to if problems arise. Still more cost is shaved from the price tag by eliminating the cushy and/or techie goodies that drive up price. This is a bare-bones boat, and there are no coaming bolsters, no tricky fold-away transom bench seat, and no plug to link your iPod to the stereo—which you won’t miss, because there’s no stereo system. With many boats, you’ll be forced to pay big bucks for this stuff whether you want it or not. Are you a blood-and-guys center console angler who really doesn't need all the extra goodies that drives boat prices through the roof? Then consider the Dusky 278. 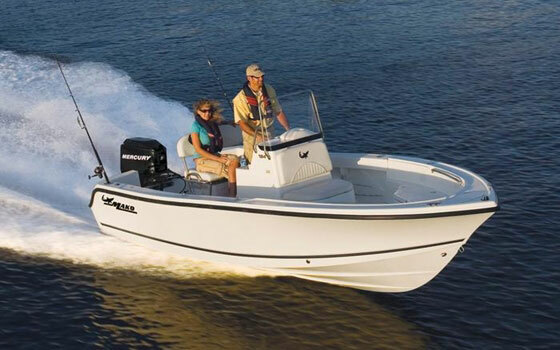 In a market that’s seen prices rise faster than a flood tide in a hurricane, this boat is a breath of fresh air. 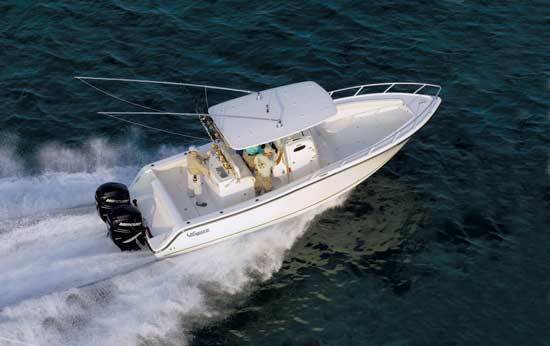 For more information, take our short video tour of the Dusky 278 or visit Dusky.